The links below will take you to our ever-changing inventory of products we are able to offer as genuine bargains you won't find elsewhere. Check them often as they frequently change. Please note - the latest availabilities are at the top of the listings. Items from prior listings may -or may NOT- be available. Best bet: email us at pwc586@hotmail.com, or call (540) 846-6206. 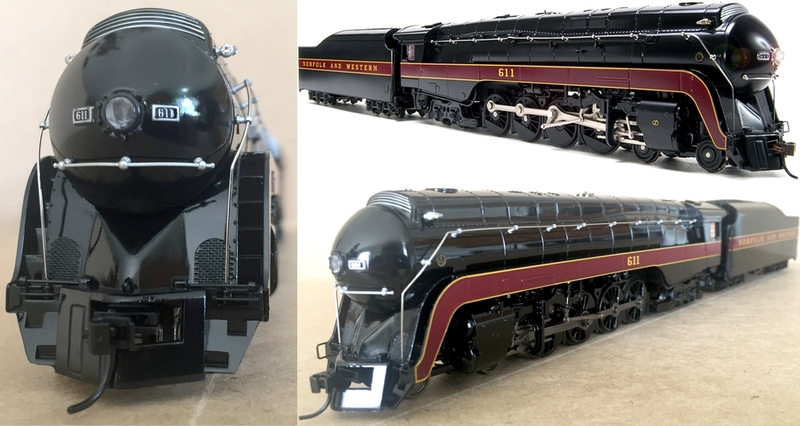 Broadway Limited HO J-Class N&W Museum Version Famous #611! Our price is $300 plus shipping.